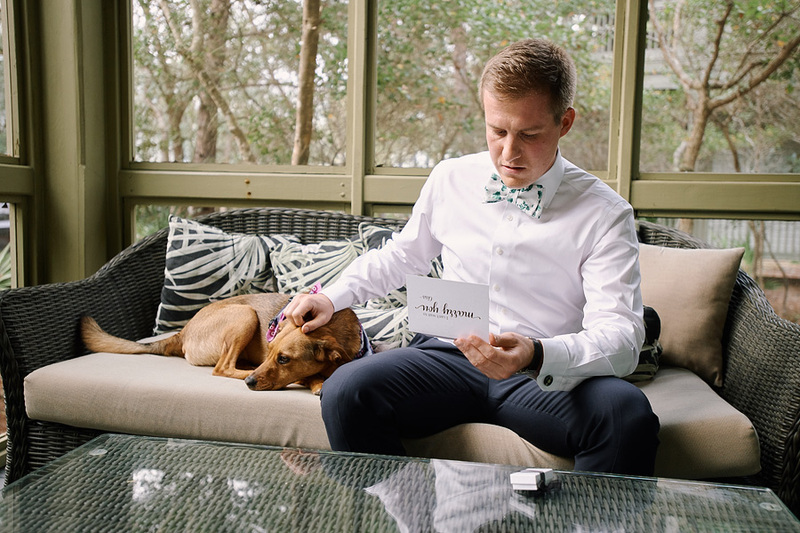 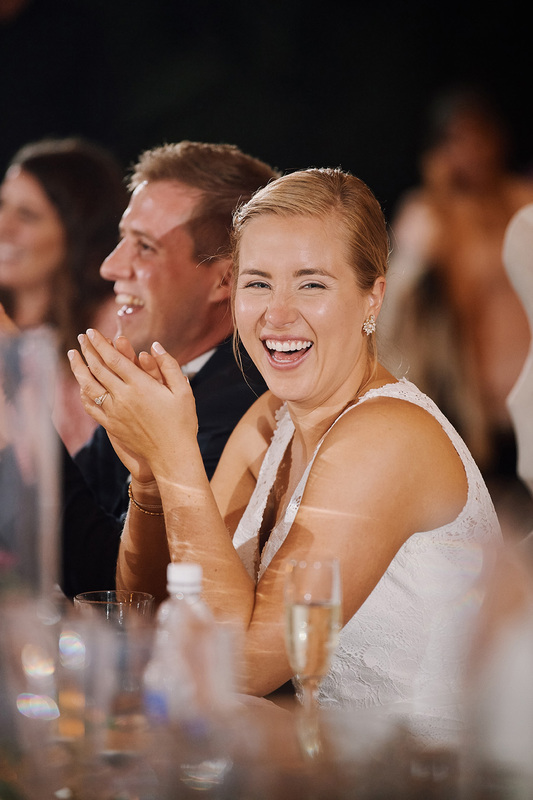 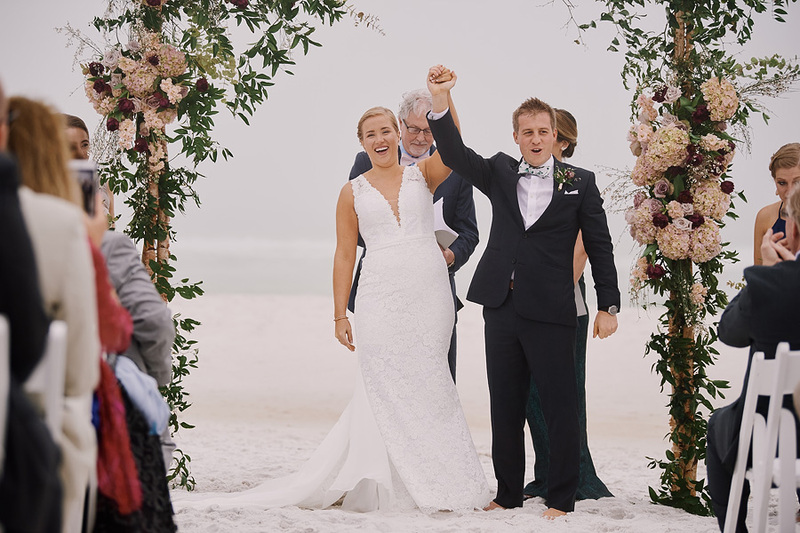 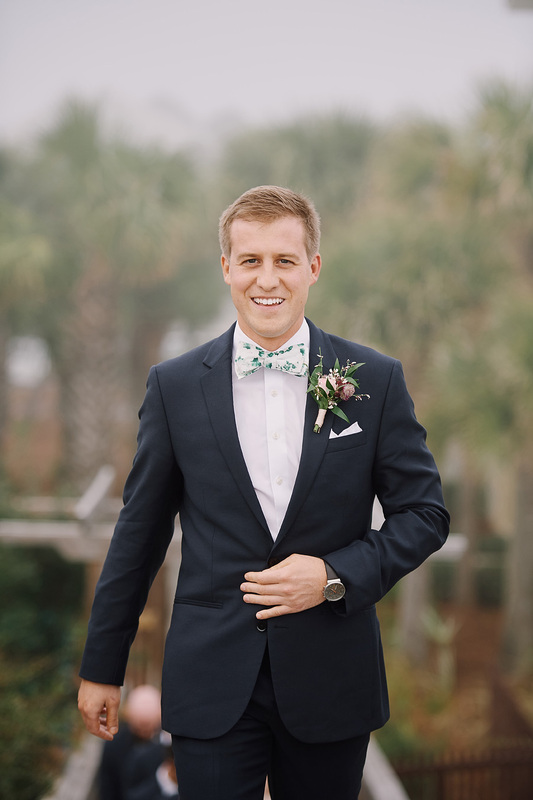 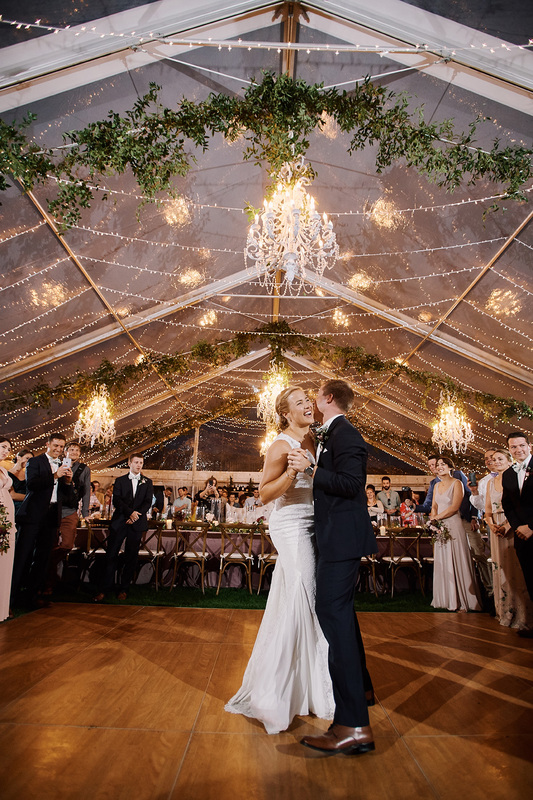 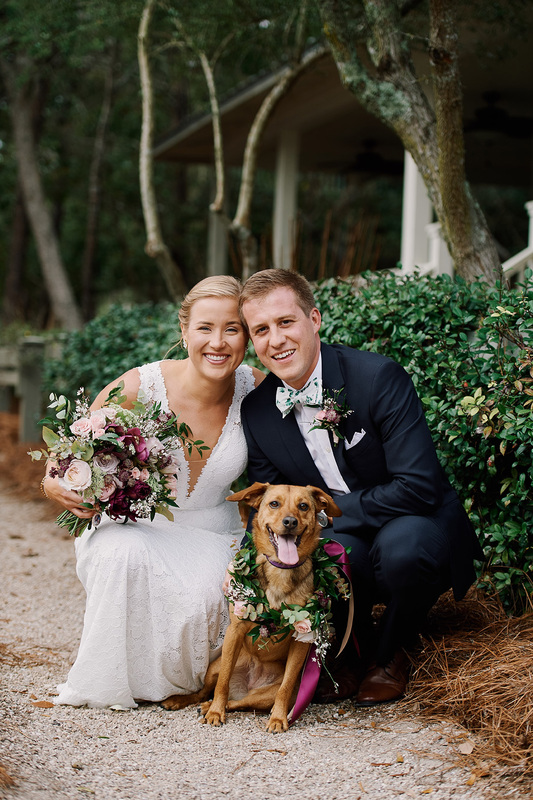 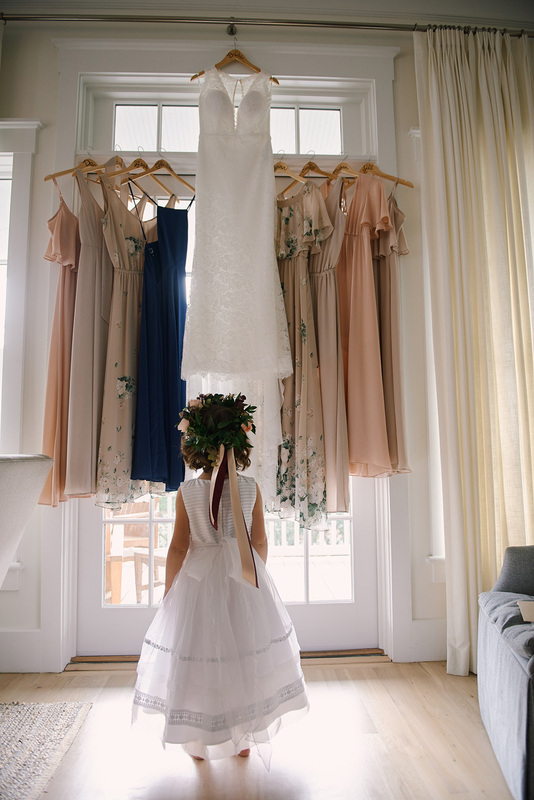 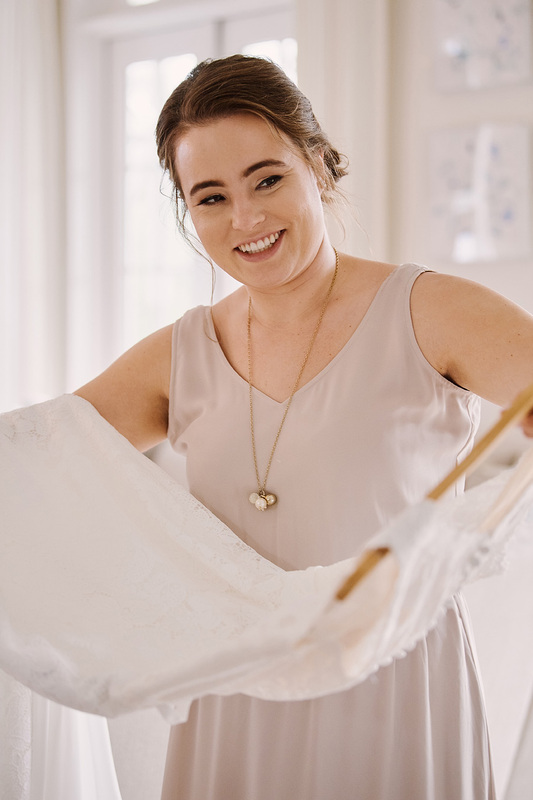 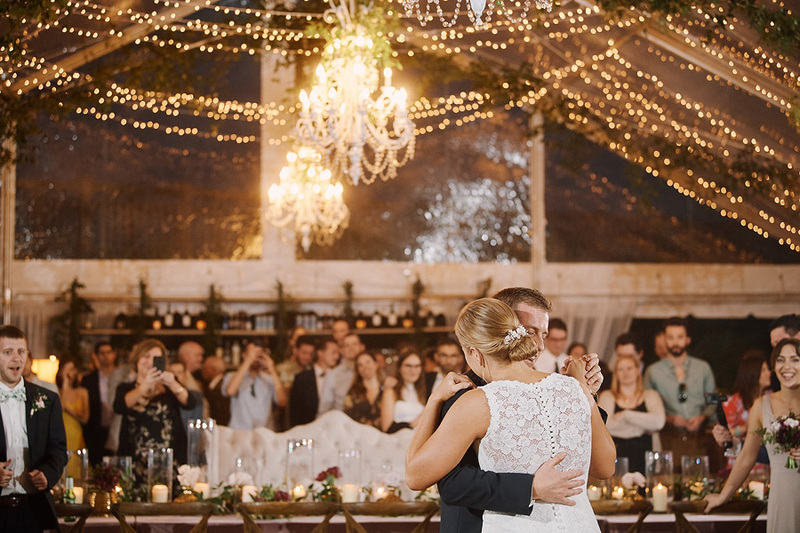 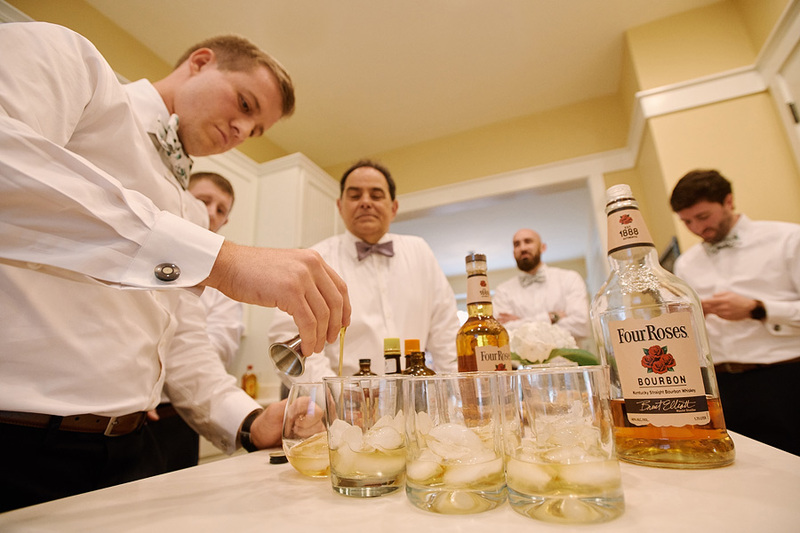 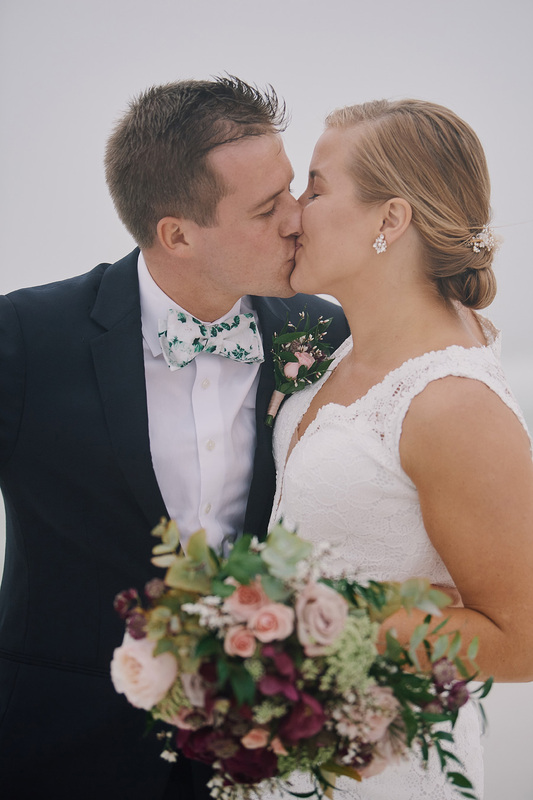 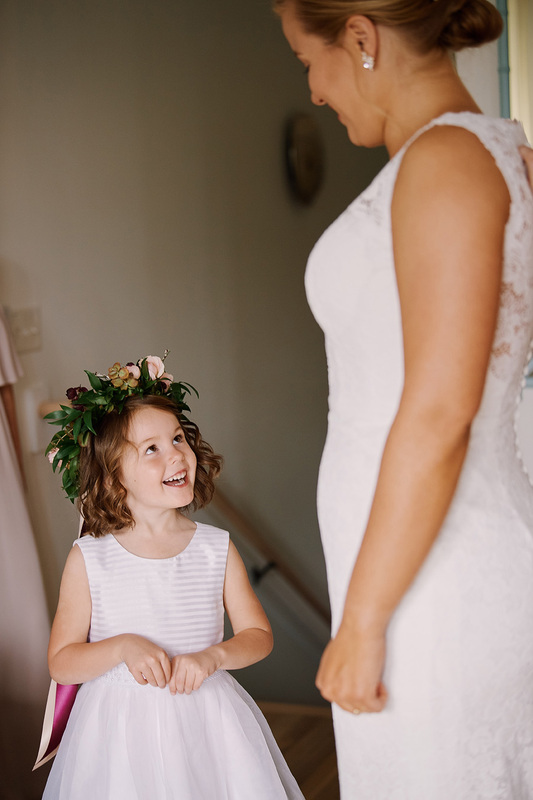 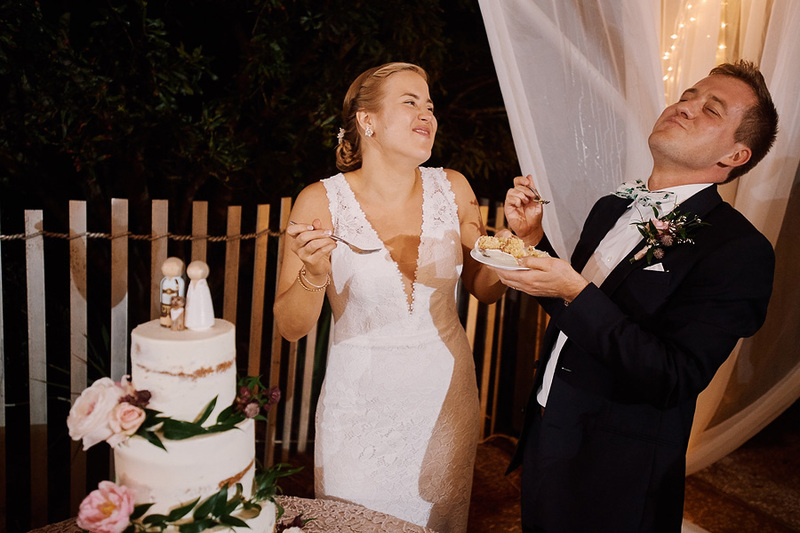 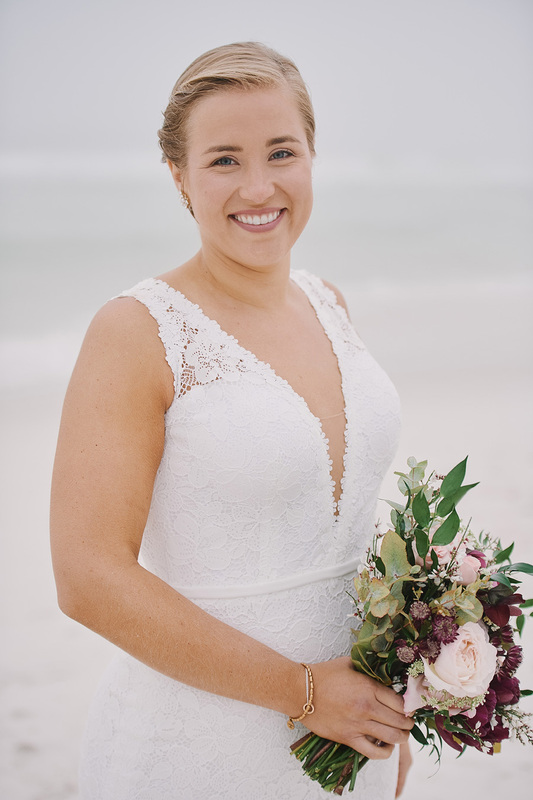 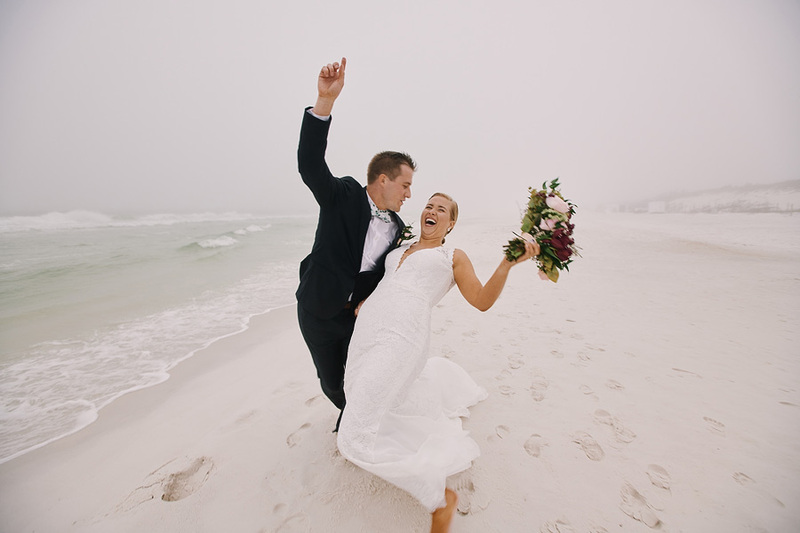 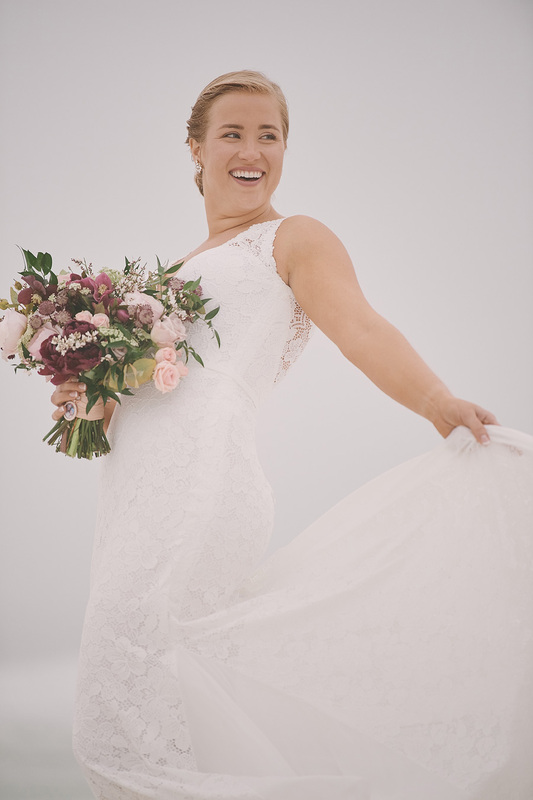 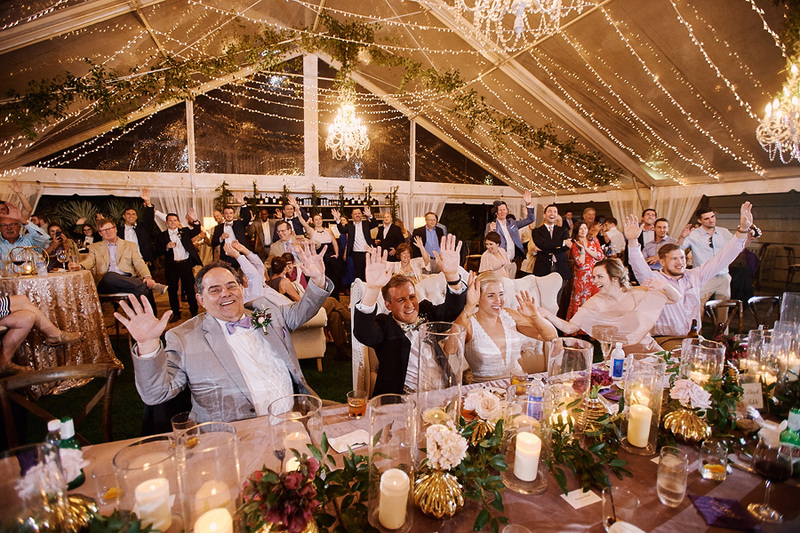 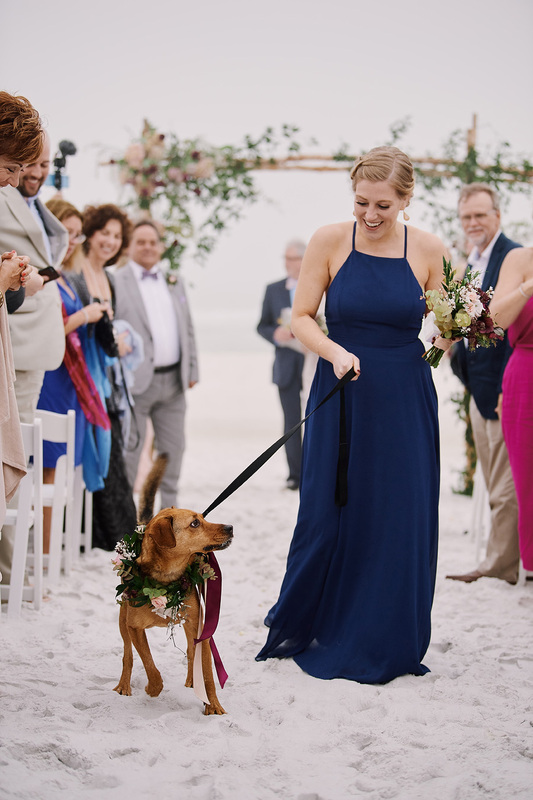 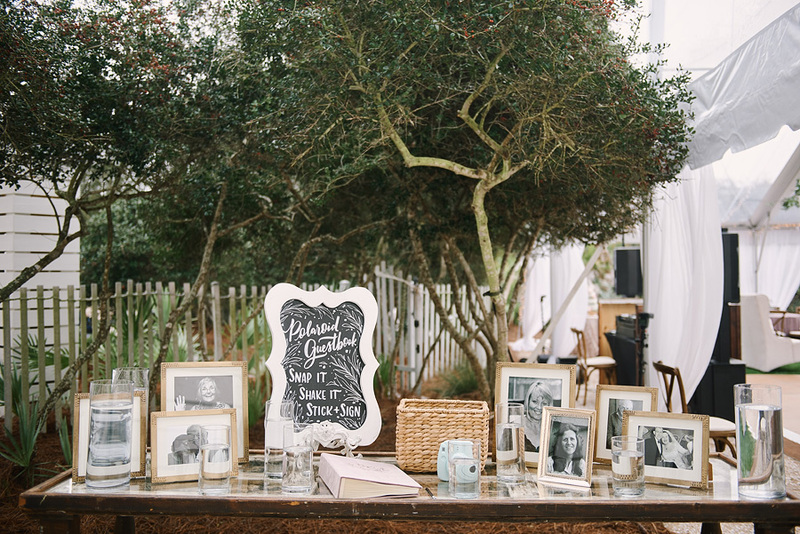 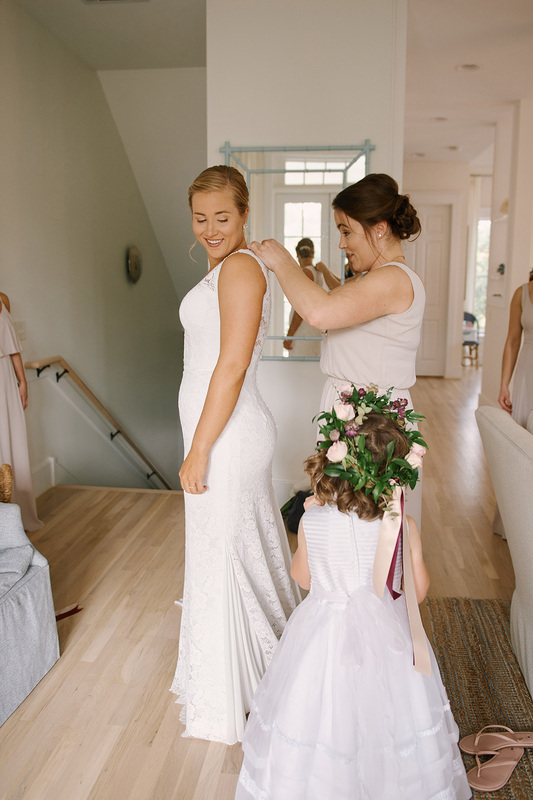 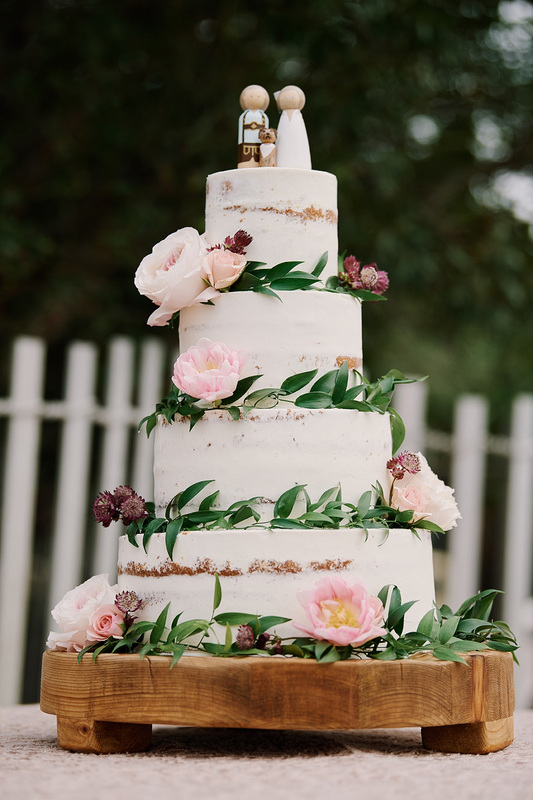 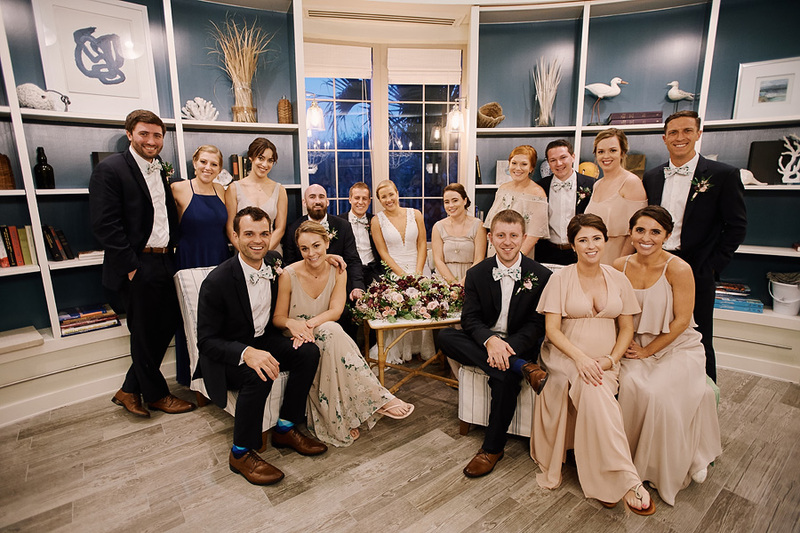 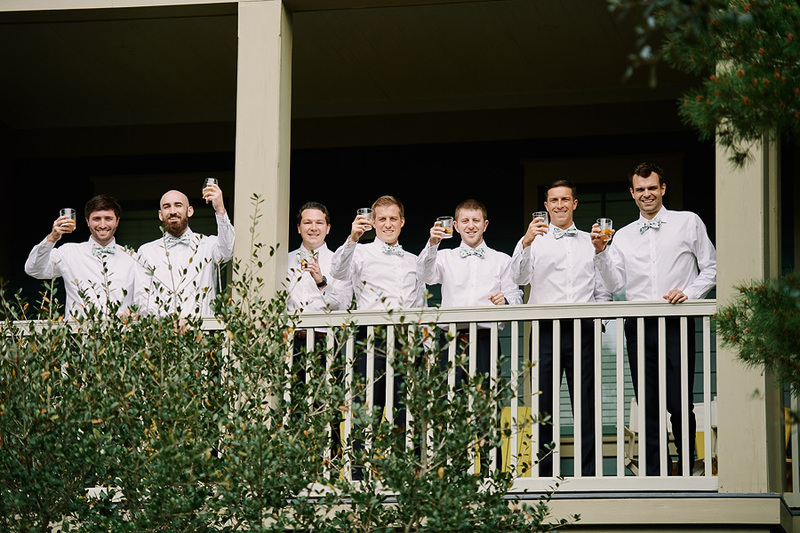 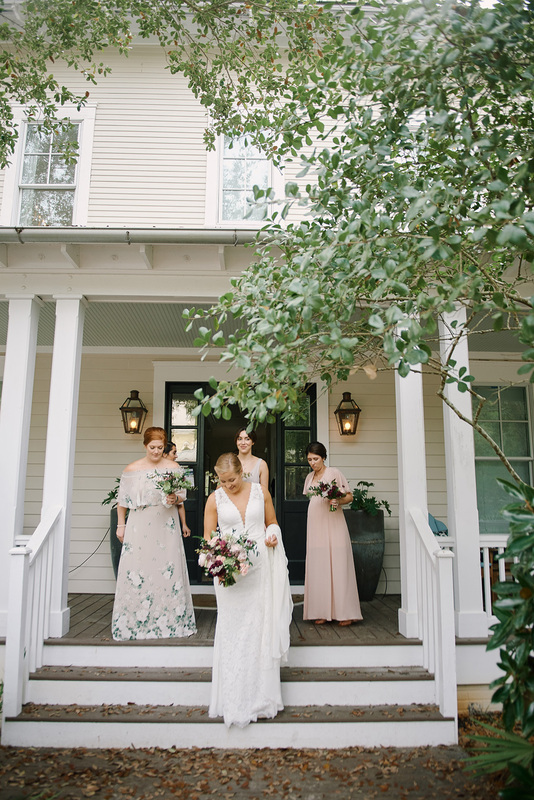 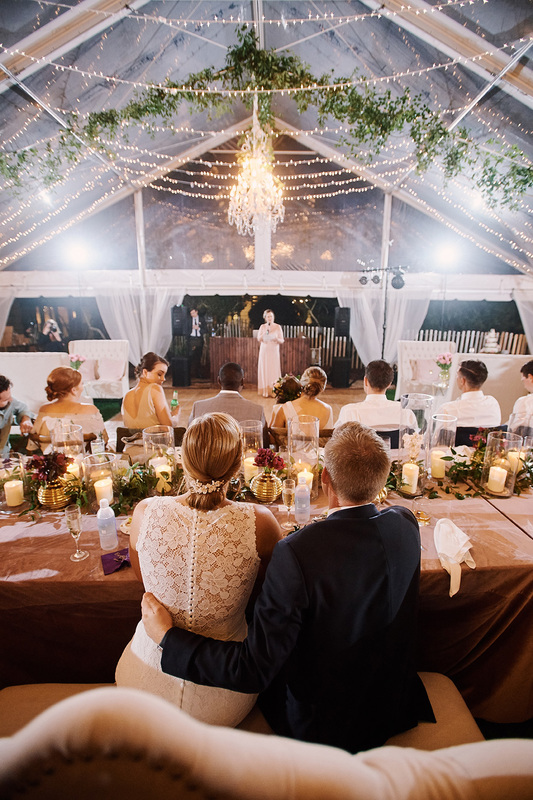 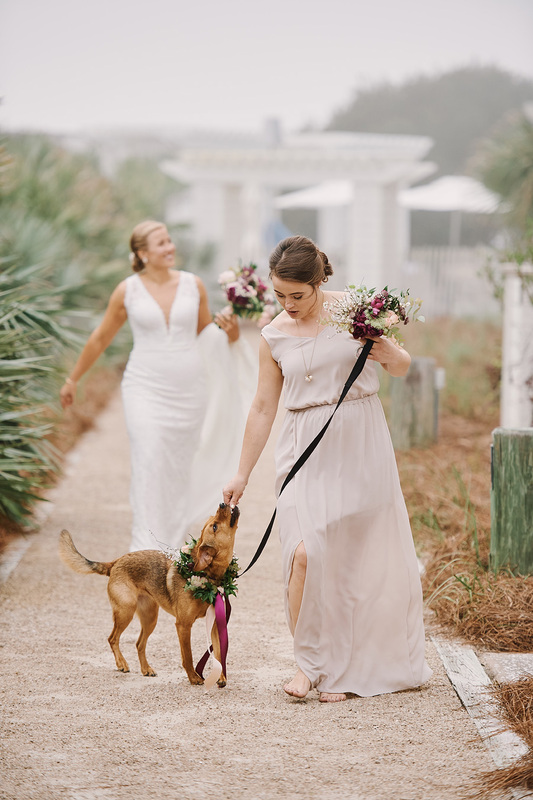 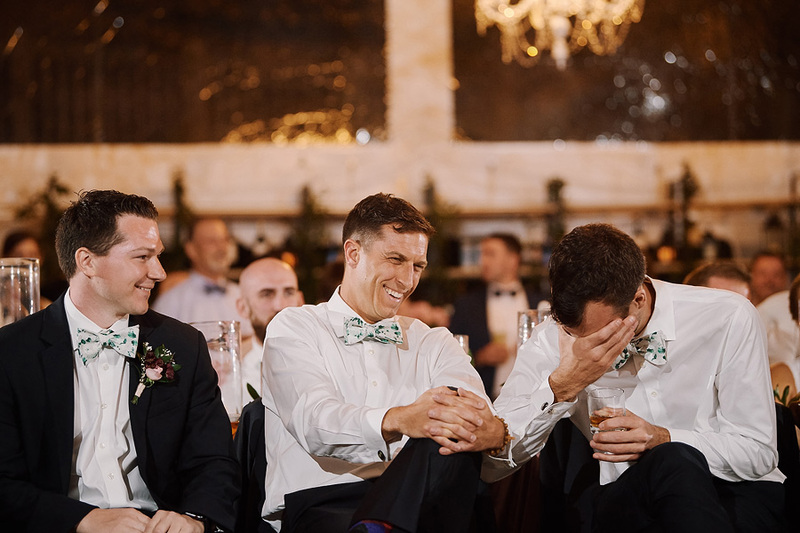 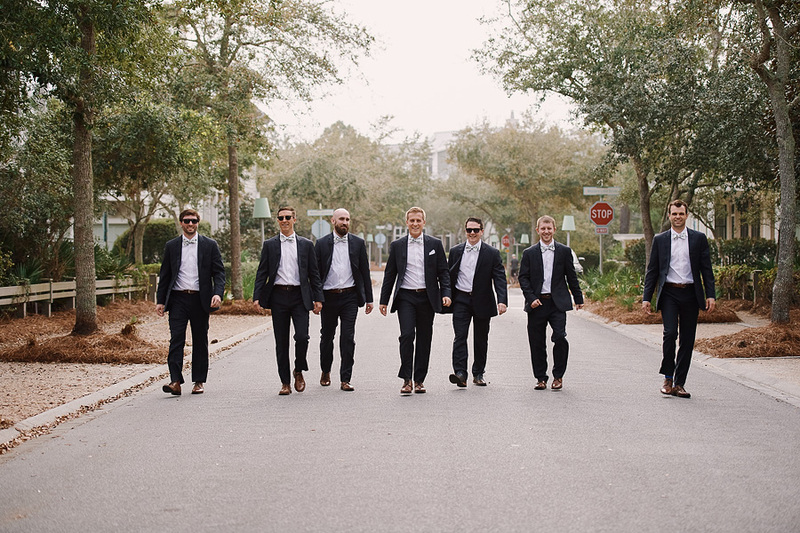 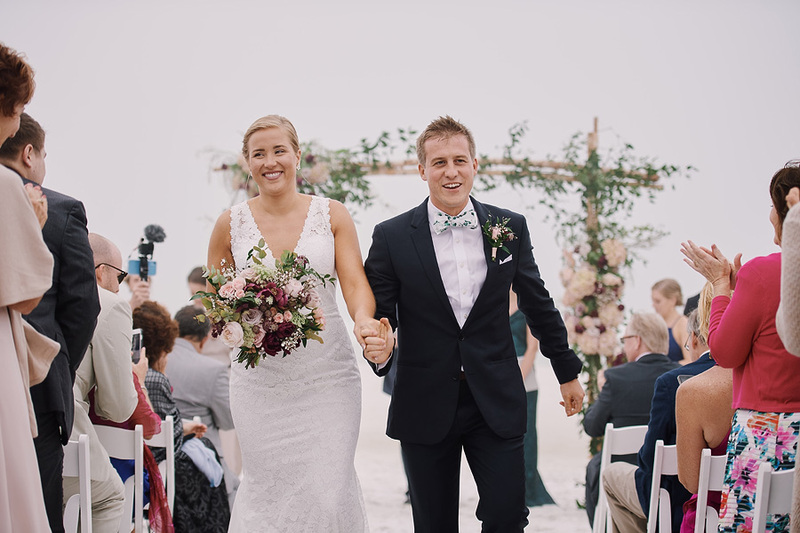 Elyse and Chris were married on probably the foggiest day on 30A this Winter. 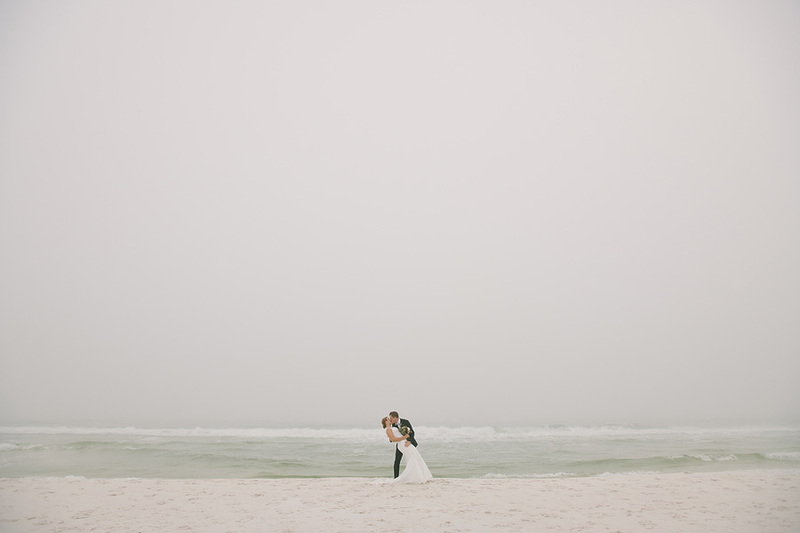 But we loved the monochrome look of their beach pictures as a result! 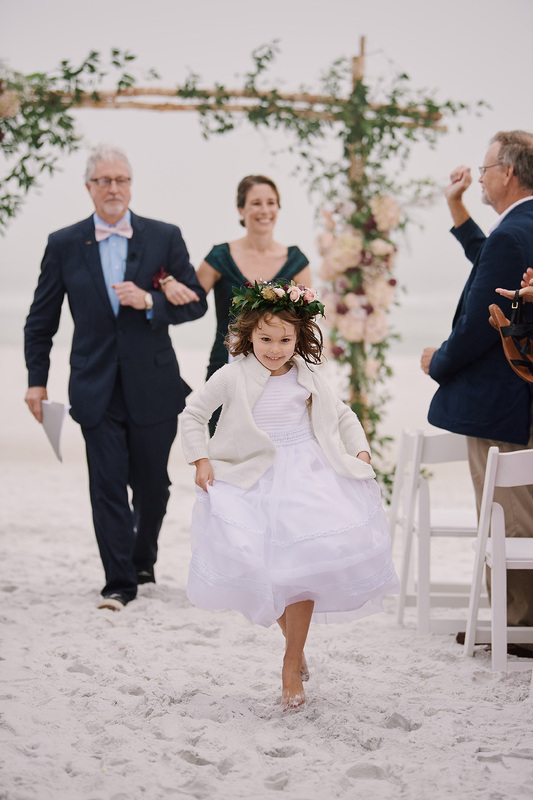 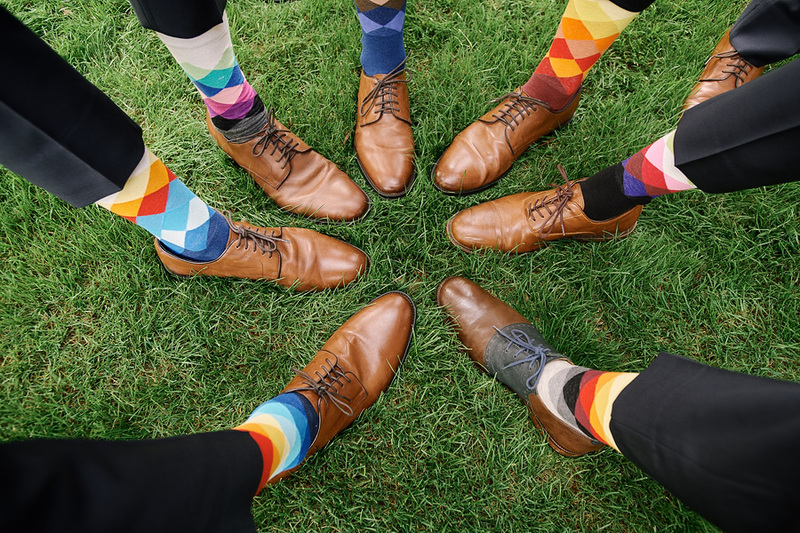 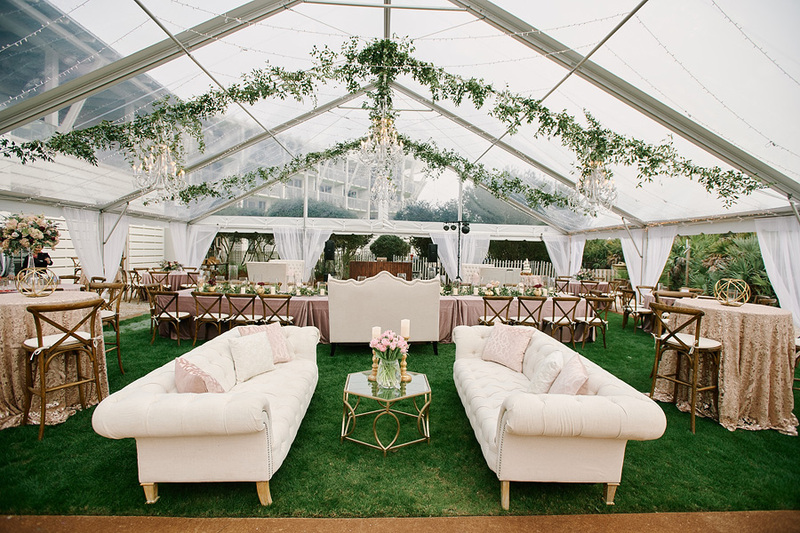 Their ceremony took place on the sand behind the Watercolor Inn and Suites and their reception was on the Inn Green. 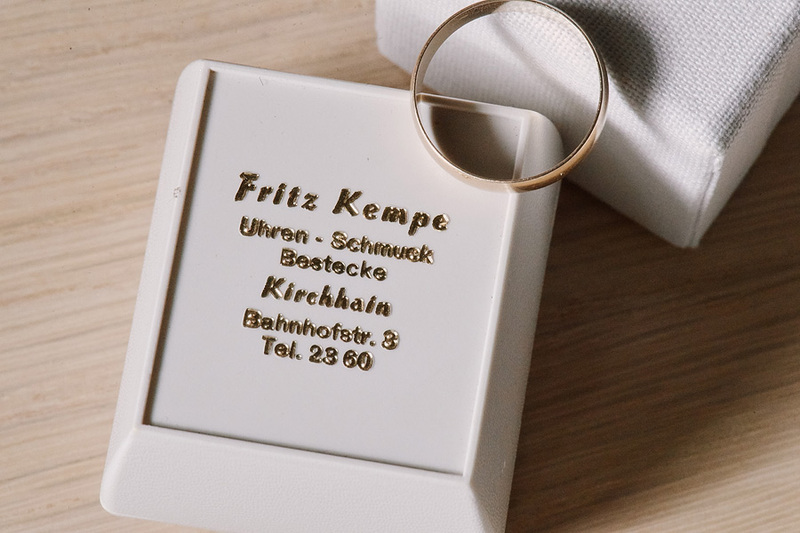 Chris used his grandfather’s antique ring box from Germany to house his wedding band. 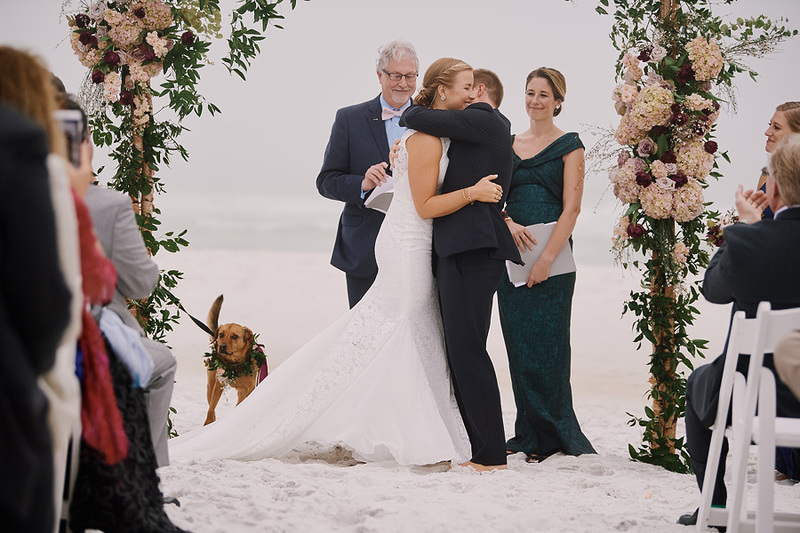 While his Oma couldn’t make the trip from Germany to see the ceremony, many of his German friends and family did. 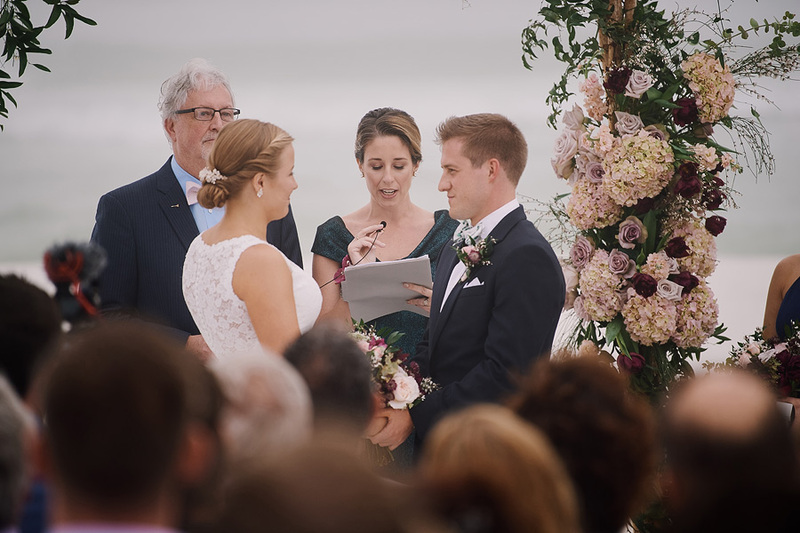 One even streamed the ceremony to his Oma so she could watch! 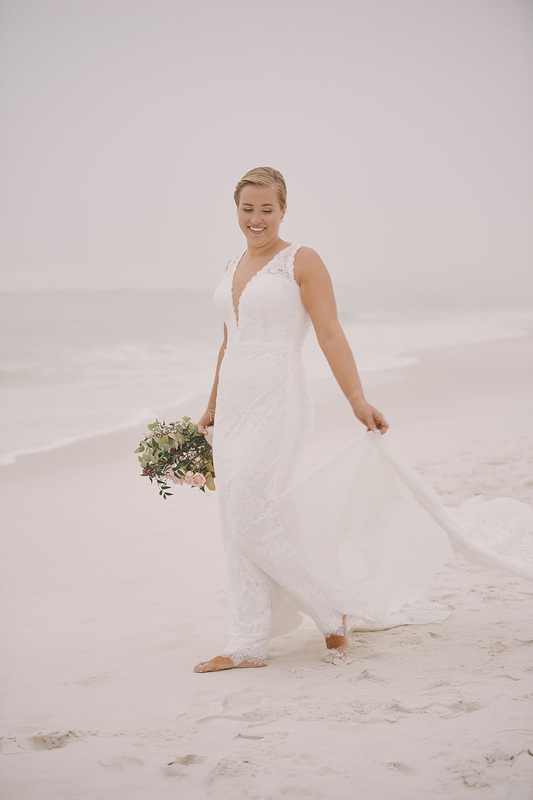 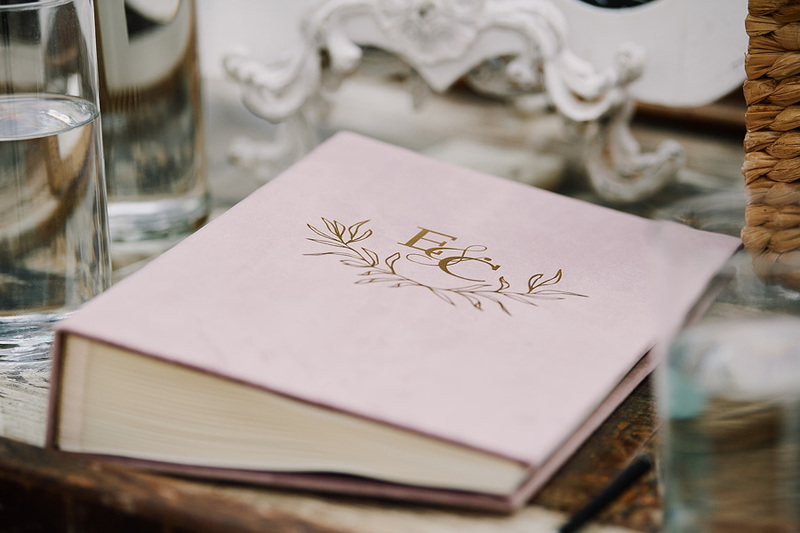 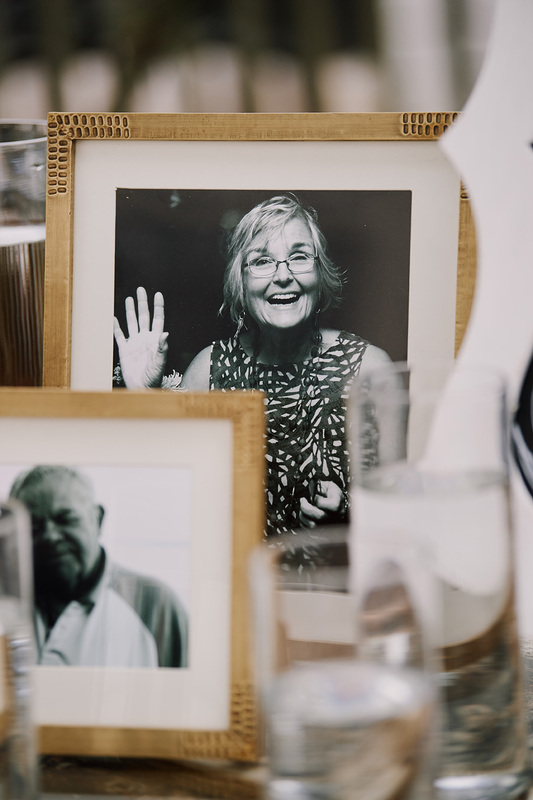 There were many beautiful women who were unable to be with them on their wedding day, but were loved and spoken fondly of. 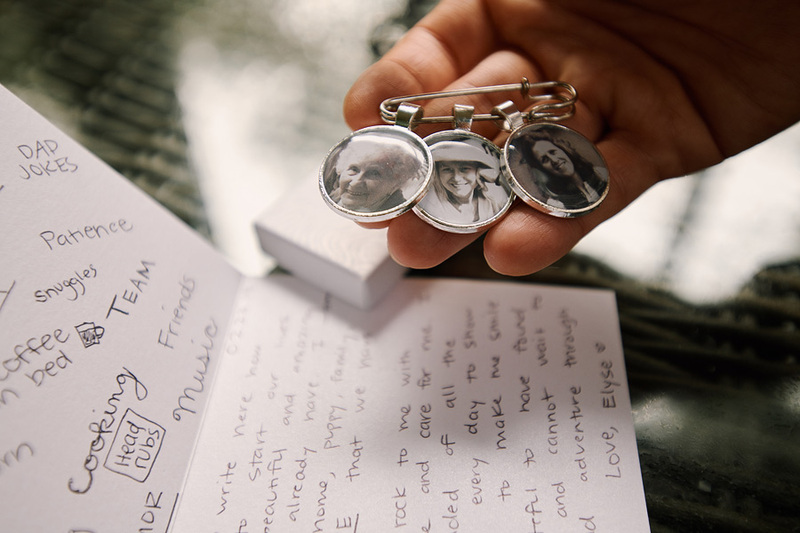 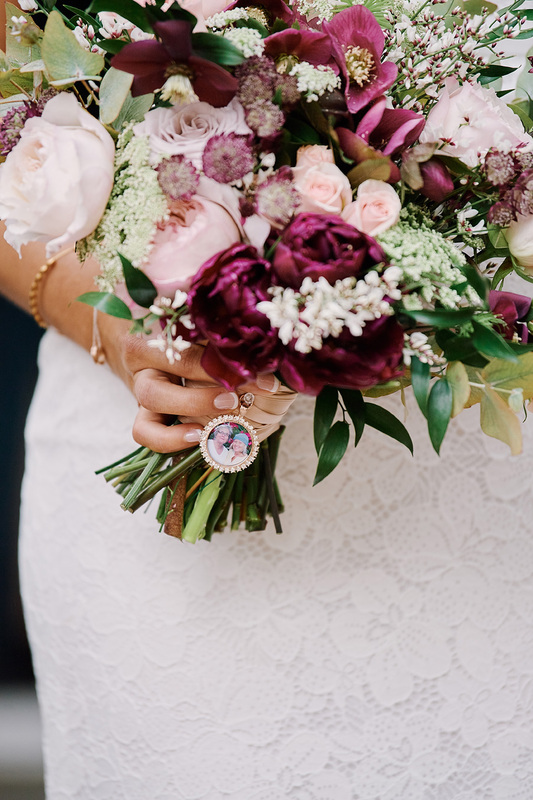 Elyse wore a pin on her bouquet and gifted Chris a pin with several charms attached. 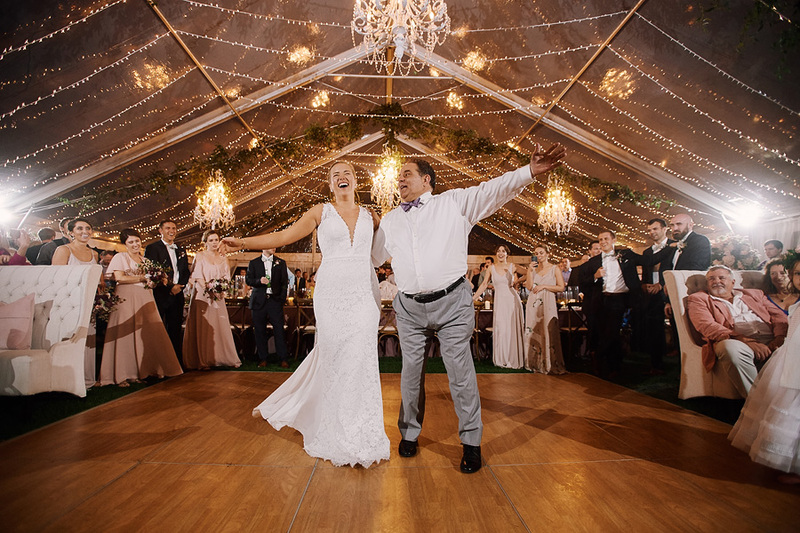 Another special gift Chris received on his wedding day was a song written and sung by his Father. 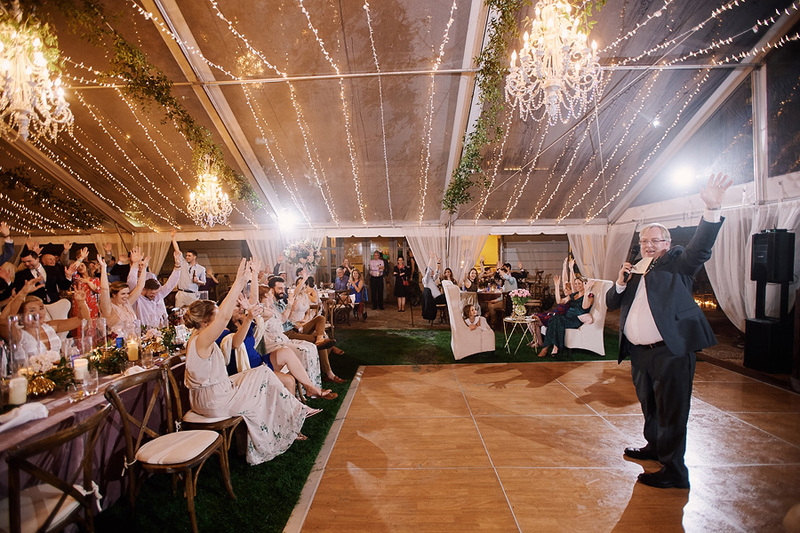 The crowd went wild! 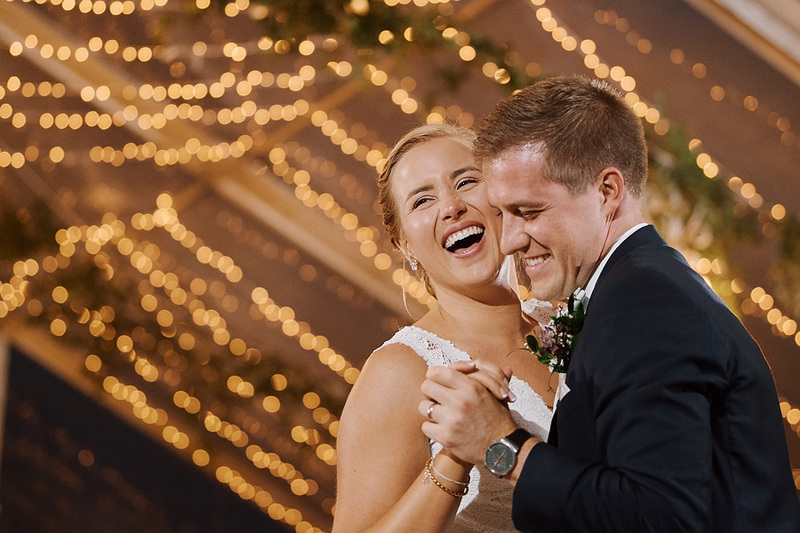 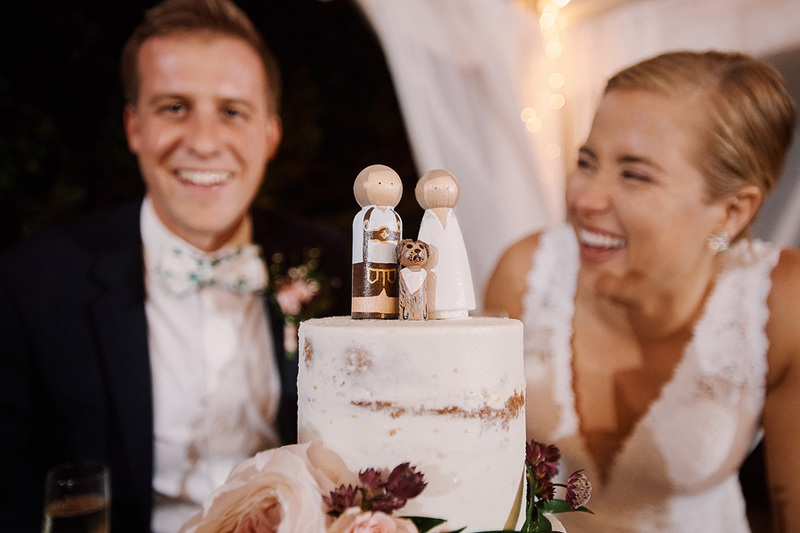 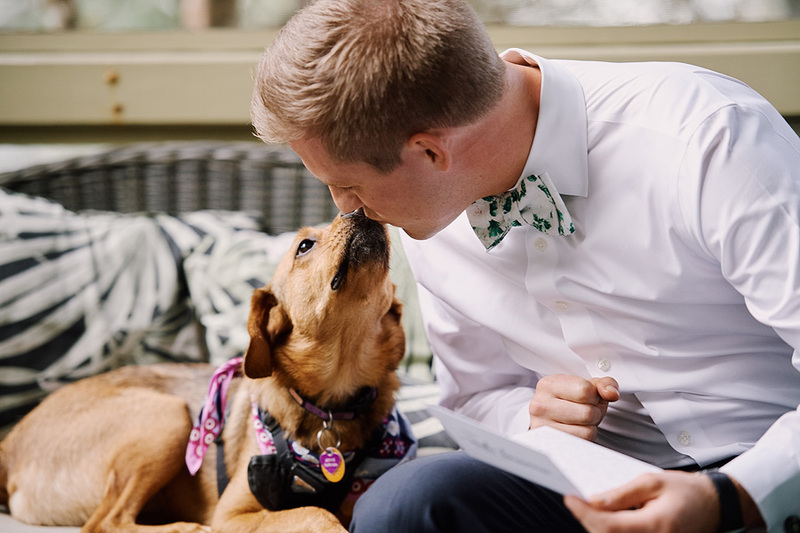 Congratulations to Elyse and Chris!